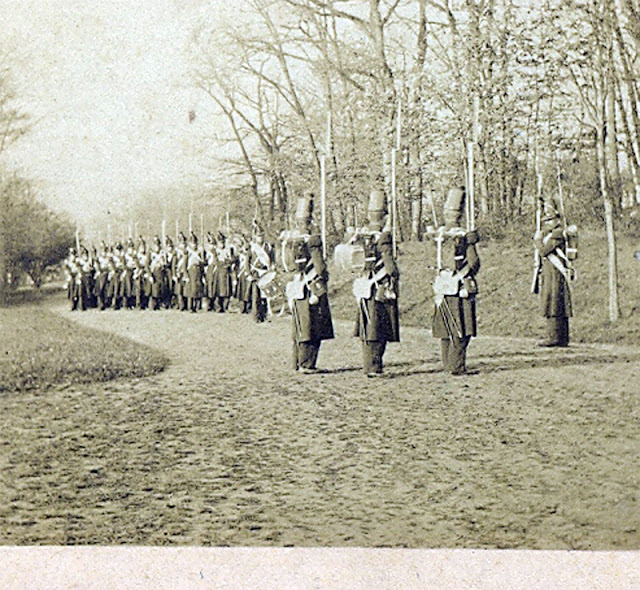 Voltigeurs de la Garde, in off-duty and campaign dress. 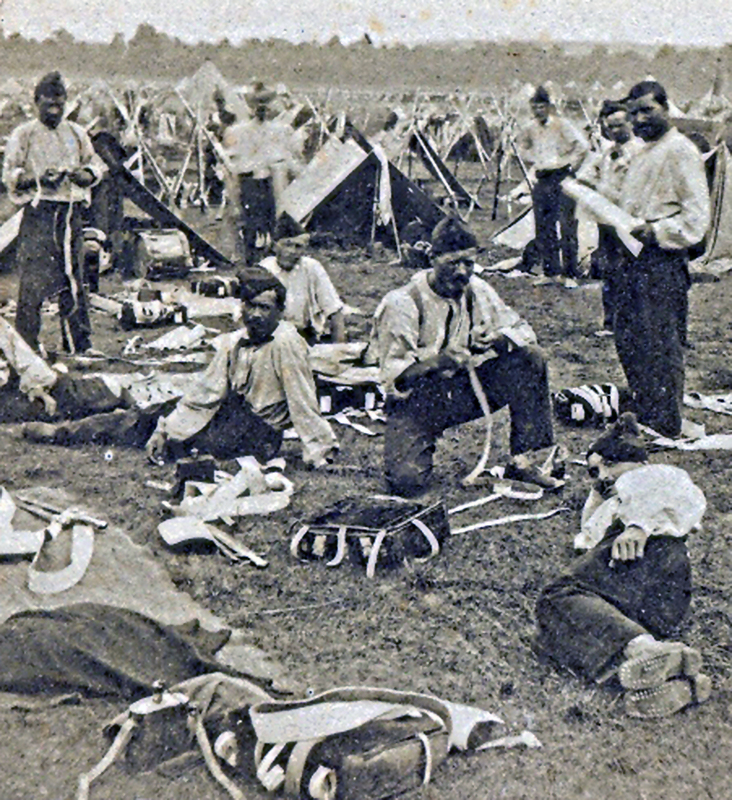 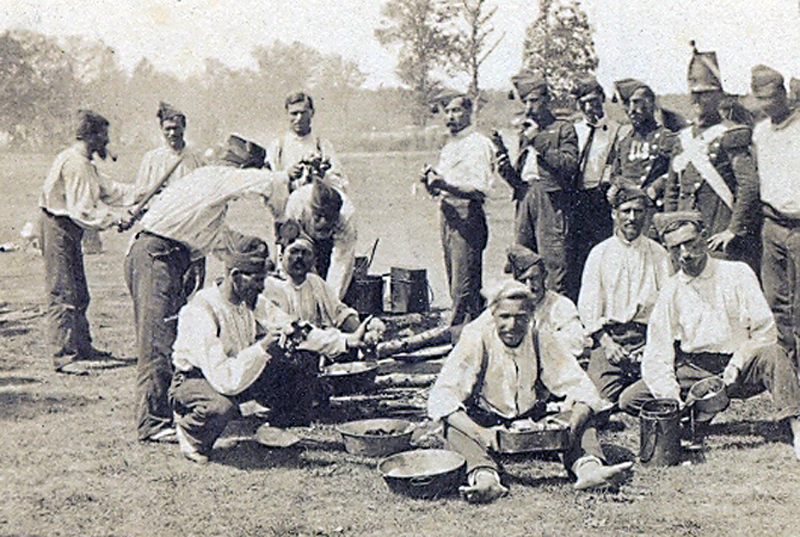 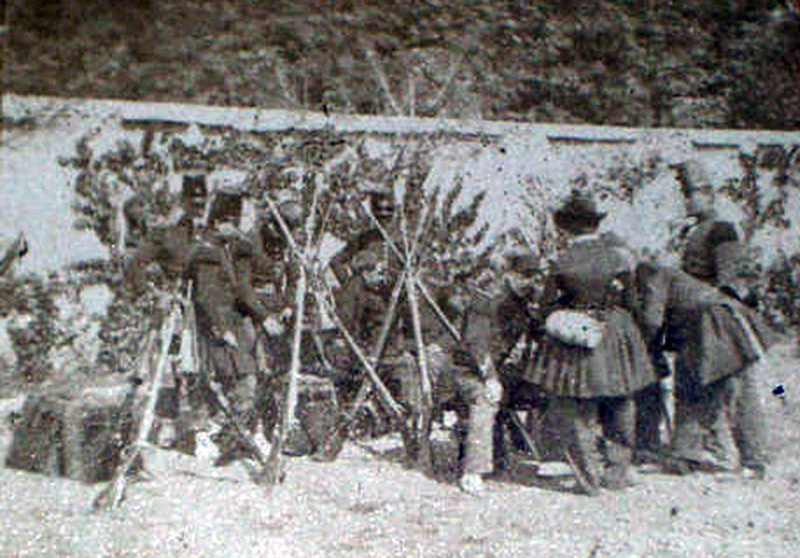 Grenadiers of the Guard off-duty, cleaning their kit. 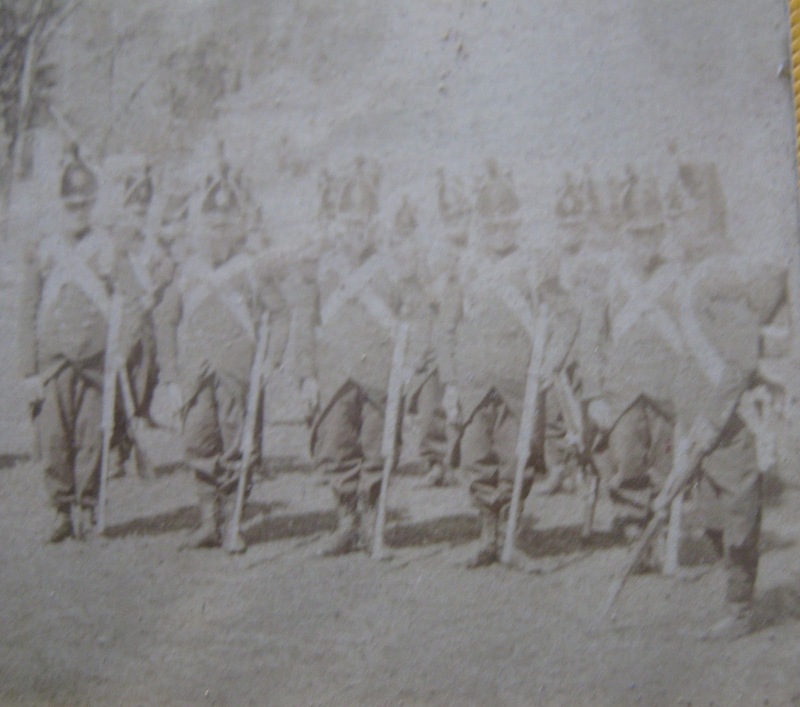 Voltigeurs of the Guard at the official drill position "Sur la bras gauche, assurez vos armes" (the drill used in wet weather to stop water getting down the barrel). The Voltigeurs again, here in Campaign Dress, going through Firing Drill. Chasseurs of the Guard with their Cantiniere.